Parastoo Theater, an all-refugee theatre company, has been operating with almost no budget for a year and a half, and does a lot with very little. None of the actors are professional but the acting is strong, bold. Give the voiceless and those with few rights a new found hope in themselves, and to feel they are not alone. By supporting this campaign, you are empowering local communities to create awareness about human rights, citizenship rights, and the situation of refugees in Malaysia. This crowdfunding page is set up to help Parastoo channel donations from the public following the Our Better World Campaign. I, Kong Phui Yi, am an educator in Kuala Lumpur who believes in the work Parastoo does and its underlying commitment to arts education as a tool for social change. Parastoo encourages the use of art as education. 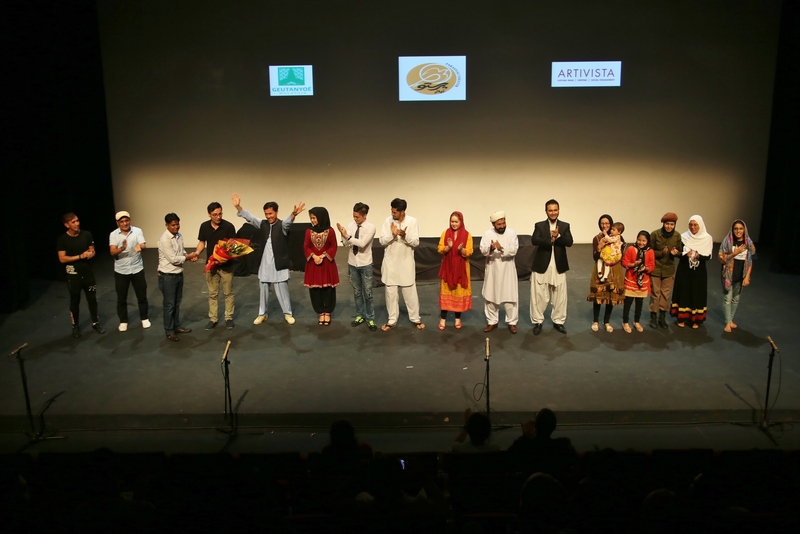 Their performances, workshops and presence adds value to the Malaysian public. Such an approach gives great hope to the audience. After each performance, the audience has a dialogue with the actors. This form of theatre creates a space for critical engagement of the oppressed reality of the play. Audience members propose and act out their solutions to the play's problems. The audience has to stretch, putting themselves in the shoes of Afghans. The Parastoo Team aims to bring Malaysians and refugees closer. The team has been invited to perform at refugee festivals, arts conference and in Malaysian schools and colleges. We are also looking for ways to make refugee arts sustainable - contact us through this page if you have ideas and we will follow up. What an inspiring cause - wishing the Parastoo team the best. Keep your dream alive! Parastoo needs to continue rehearsing and performing.